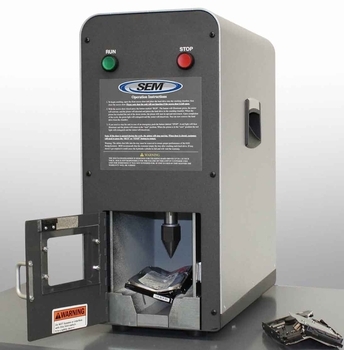 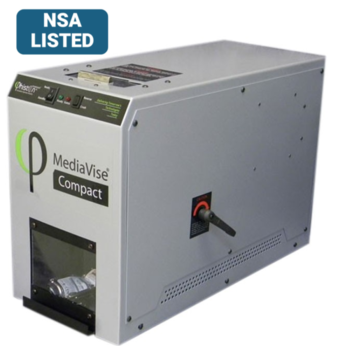 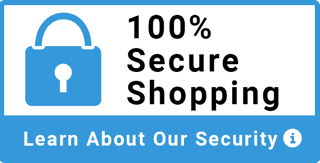 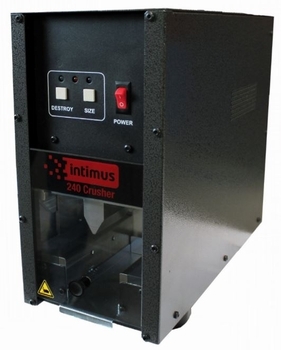 Automatic compact and portable hard drive destruction unit listed on the NSA/CSS Evaluated product list. 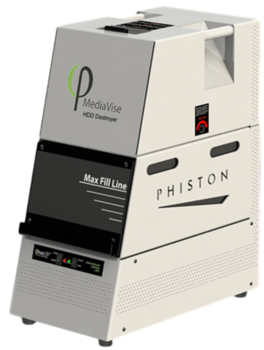 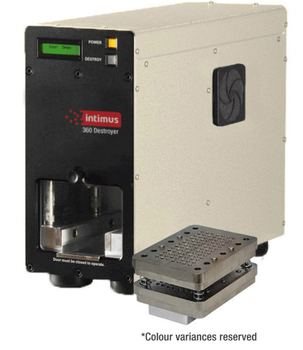 The Phiston MediaVise HDD Destroyer (MV-HDD) is a commercial capacity computer hard disk drive destroyer. 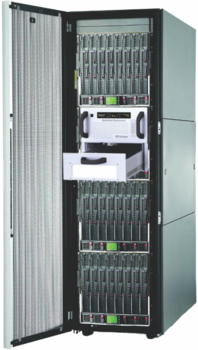 Finally.. a Hard Disk Drive Destroyer that’s Rack Mountable and Safe for your Workplace, Data Center and Server Room.